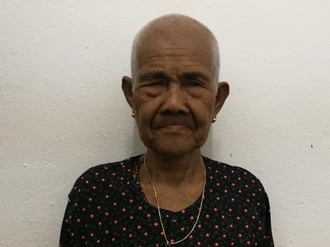 Polen is a woman from Cambodia who needs $606 to fund repair surgery. Polen is a 38-year-old noodle seller from Cambodia. She enjoys taking care of her daughter, watching television, and listening to the radio in her free time. She developed a tumor below her nose that has since increased in volume over time. She finds it difficult to breathe normally, and experiences mild pain and lack of confidence. When Polen learned about our medical partner, Children’s Surgical Centre, she traveled for three hours seeking treatment. On March 18, surgeons at CSC will perform a skin flap procedure to help eradicate the pain and breathing interference. Now, she needs help to fund this $606 procedure. Polen's case was submitted by Lindsay Bownik at Children's Surgical Centre in Cambodia. 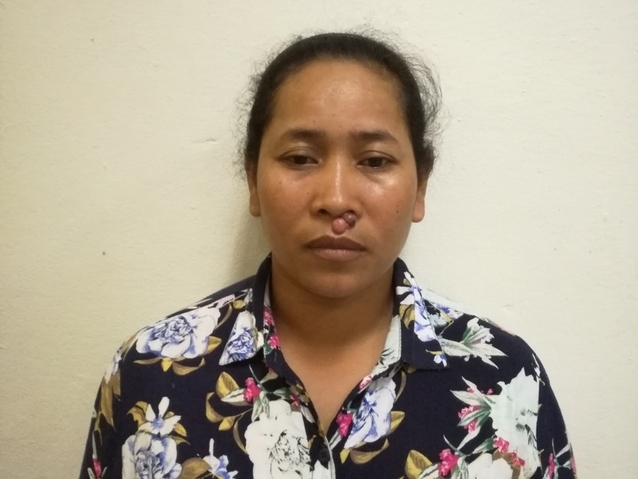 Polen was submitted by Lindsay Bownik, Stakeholder Relations Officer at Children's Surgical Centre, our medical partner in Cambodia. Polen received treatment at Kien Khleang National Rehabilitation Centre. Medical partners often provide care to patients accepted by Watsi before those patients are fully funded, operating under the guarantee that the cost of care will be paid for by donors. Polen's profile was published to start raising funds. Awaiting Polen's treatment update from Children's Surgical Centre. 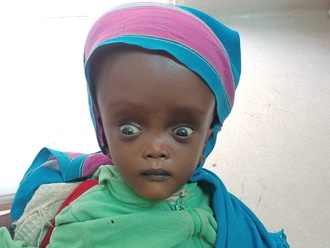 Polen is currently raising funds for her treatment. Flap surgery is used for large or complex wound repair. The wound may be too large to be closed directly or may not be amenable to grafting due to poor vascularization. A flap may also be favorable to grafting due to function or aesthetics. Such a wound can be caused by trauma, cancer, or burns, which may bring about disfigurement, pain, and exposure to infection. Large wounds are disfiguring, and patients may face stigmatization and social rejection. Wounds will be prone to recurrent infections, which may cause further damage to the underlying tissue. Depending on the site of the wound, there may be functional loss and the patient may lose the ability to perform tasks independently. For many Cambodians, the primary mode of transport is the motorcycle. Coupled with unregulated traffic and dangerous driving practices, motorcycle accidents are very common. Soft tissue injuries arising from these accidents are often large and complex, with flap surgery being the best approach to avoid skin necrosis or infection. Analysis of the wound location, vascularity of the wound bed, comorbidities, and cosmetic and functional significance must first be performed. Flaps can then be selected accordingly, with local and regional flaps being preferred over distant pedicled or free flaps. Prior to the skin transfer, debridement may be needed to remove dead or damaged skin. Local and regional flaps use adjacent tissue that is mobilized then advanced or pivoted into place. Distant flaps transfer tissue from a different part of the body and can be pedicled to preserve its original blood supply. The blood supply is cut off in free flaps and therefore will need to be joined to the local blood supply via microsurgery. Flap surgery can take anywhere from a short procedure for the most basic local flap, to many hours for the complex microsurgery associated with free flaps. Flap surgery allows the wound to heal much faster, avoiding infection risk and a long wait for the defect to develop scar tissue. In flap reconstructive surgery of an area of the body more aesthetically sensitive, such as the face, disfigurement is reduced and patients feel more confident. The most common cause of flap failure is vascular compromise. Loss of blood supply to the flap could lead to partial flap loss or even total flap necrosis. In the latter, the flap must be removed. Other complications include haematoma, seroma, surgical site infection, and complications specific to the donor site. However, all these complications can be avoided with regular post-op checks of the flap and acting quickly on any foreboding signs. Flaps and other reconstructive surgical procedures are accessible at local clinics and hospitals at a cost, and patients also often turn to traditional healers. Inadequate treatment or poorly designed flaps can contribute to unnecessary complications and prolonged suffering. Patients travel as much as twelve hours to reach Children's Surgical Centre for free surgery, arriving by bus, motorbike, or taxi. Regular dressings with gauze and bandages can take many months and has a significant risk of infection, which may result in cutting away more tissue to treat it. Traditional medicine is available, but with unsuccessful results.